It is a simplified Rotogravure Printing Machine for flexible web materials, such as OPP,PET,PE,PP,PVC shrinkable film, cellophane, offset film, wrapping paper. It is our plant's special design. Combined our own practical experiences with newest national and international same type printing machine's best configurations. We delicately built it in a game-brick configuration. 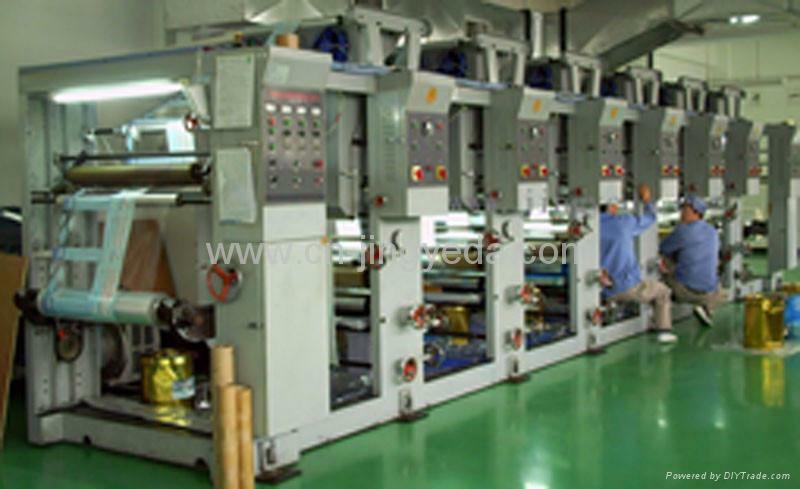 It is often used to be a unit of a plastic film blowing machine or a flexo printing machine. Prints on both the front and back sides. Multiple service posts, as-you-like combination; Double service posts available and in the same unit for easier operation. Pneumatic impressive roller lifting. Unwinding and rewinding's tension is controlled by powder clutches and torque motors. Hot air drying. Adjustable chromatograph. Reliable performances. Simple operation. Easy trouble shooting. * 1 to 12 colors are available.